Who invented Tea? The name of the person credited with inventing Tea is the mythical Chinese Emperor Shen Nung (c.2700 B.C. - c.2768 B.C). Shen Nung is not only famous as the Chinese inventor of Tea but a specialist in herbal medicine. When was Tea invented? It is said that Shen Nung invented Tea in c. 2737 BC, during the Ancient China period of invention. Tea is another of the famous inventions that was discovered by accident. Definition of Tea: Tea is defined as the dried leaves of the tea shrub or small tree used to make a beverage by steeping tea leaves in water. The color, flavor, and quality of the brew are dependent upon the treatment which the dried leaves receive after being gathered. Fact 1: Who invented Tea? Tea is said to have been invented by Shen Nung c. 2737 BC during the Ancient China era of inventions. Fact 2: Who invented Tea? Prior to the invention of Tea c. 2737 BC, people were known to drink herbal brews by boiling or steeping leaves, flowers, barks and fruits in water. Fact 3: Who invented Tea? The dates of this mythological figure may well be fictitious but according to ancient Chinese sources the inventor of Tea, Shen Nung, was born c.2700 B.C. and died c.2768 B.C. He is known as the 'Father of Chinese medicine'. Fact 4: Who invented Tea? Shen Nung is revered as one of the god emperors who improved the lives of the Chinese people by imparting essential skills and knowledge. Fact 5: Who invented Tea? The name Shen Nung, aka Shennong, means "Divine Husbandman" in the Chinese language. He is said to have been born with the head of a bull and the body of a man. Shen Nung is credited with the invention of the plow and the cart and for teaching the people farming techniques and establishing a stable agricultural society in China. The knowledge he passed to the Chinese included a list of 365 medicinal plants which later became the basis of herbological studies and the medicinal effects of plants - hence his title the 'Father of Chinese medicine'. Fact 7: Who invented Tea? Evidence of early tea drinking has been discovered in tombs dating back to the Han Dynasty (206BC - 220AD) and by the historical period known as the Tang Dynasty tea had become established as the national drink of China. Fact 8: Who invented Tea? The Chinese were isolationists but as China and Japan are geographically separated only by a relatively narrow stretch of ocean the two countries and became in contact during the Han dynasty (206BC - 220AD) and Japan began to take on many Chinese traditions including tea drinking. Fact 9: Who invented Tea? In 350AD Tea was cited in the Erya or Erh-ya, the oldest surviving Chinese dictionary. The Han Chinese Min speakers called the beverage 'te' and is the origin of the English word "tea". The names 'cha' and 'chai' derived from the Mandarin language. Fact 10: Who invented Tea? The first Europeans to trade with China and Japan were the Portuguese. In 1557 Portugal acquired Macao, on the south coast of China, and began trade with the Chinese and the Japanese. 'Te' or 'cha' was first introduced to Portuguese merchants and priests . Fact 11: Who invented Tea? The Dutch established a trade based colony in Java in the late 1500's, expanding maritime trade between Europe and the Orient (leading to the establishment of the Dutch East India Company). In 1606 the Dutch were the first nation whose ships brought tea from China and Japan in large quantities. Fact 12: Who invented Tea? The strange oriental drink was at first marketed as a medicinal drink, although it was so expensive that at first only the very wealthy could afford it. The drink became extremely fashionable in the Netherlands and Portugal and from there the new beverage spread to other countries in Europe. Fact 13: Who invented Tea? During the 1600's coffee-houses became centers of social activity in the major cities of Europe. Coffee was introduced to England in 1650. In 1657 the first tea was sold in London at Garraway’s Coffee House, as a health beverage. It was referred to as the 'China Drink' but also known as Te or Cha. Fact 14: Who invented Tea? The popularity of the 'China Drink' increased further when King Charles II of England married Catherine Braganza of Portugal who was an avid tea-drinker and her custom was adopted as the most fashionable drink at the royal court and by the wealthy. Fact 15: Who invented Tea? The tea-trade prospered and the East India Company acquired a monopoly on the product and began to import it to England in large quantities making it more accessible. Its popularity increased and the first tea shop in England was established in 1717 by Thomas Twining who converted his shop in the Strand, London called 'Tom’s Coffee House' to the "Golden Lyon". Thomas Twining went on to become the founder of Twinings of London. Fact 16: Who invented Tea? Different types of teas were sold in England. The cheapest was black Bohea, the next was Congou which was a superior type of black Bohea and Souchong which was the best of the black teas. Singlo was the name of one of the green teas and more expensive than black teas. Hyson which was the most desirable, and expensive of all the green teas. Fact 17: Who invented Tea? Tea was easy to tax at the port of entry of the ships that brought it from China. The high taxes were used to finance wars or whatever was deemed necessary by the British government. The taxes were also imposed on the American colonies. In 1768, American colonists consumed almost two million pounds of tea each year, an average of 2-3 cups every day. In 1773 the imposition of British taxes led to the famous event known as the 'Boston Tea Party'. Fact 18: Who invented Tea? In 1773 the Tea Act, a law that allowed the British East India Company to sell its low-cost tea directly to the colonies, undermined the colonial tea merchants. The British law was seen as unconstitutional by American patriots. Three ships, the Dartmouth, Beaver and Eleanor, carrying 342 chests of tea, arrived in Boston Harbor on December 16, 1773 and a party of Sons of Liberty patriots, dressed as Native Indians, went on board the ships and threw the tea into the harbor. The American Revolution began two years later and the American tradition of drinking coffee in preference to teas began. Fact 19: Who invented Tea? In 1834 the East India Company's monopoly on trade with China came to an end and resulted in British colonies such as Sri Lanka (previously Ceylon) and India growing and producing tea and establishing a new economy in the countries. Fact 20: Who invented Tea? In 1840 Anna the Duchess of Bedford introduced the famous British custom of 'afternoon tea' which she hosted in her rooms at Woburn Abbey. Before too long fashionable society was drinking their favorite beverage, eating small cakes and nibbling sandwiches in the middle of the afternoon. The custom still survives today. Fact 21: Who invented Tea? The history of the second most consumed drink after water moved on in 1904 when Englishman Richard Blechynden invented iced tea during a heat wave at the St. Louis World’s Fair. Fact 22: Who invented Tea? New York tea merchant Thomas Sullivan invented tea bags in 1908 when he began to send tea to clients in small silk bags. His customers mistakenly steeped the whole bag in hot water and the teabag was invented. 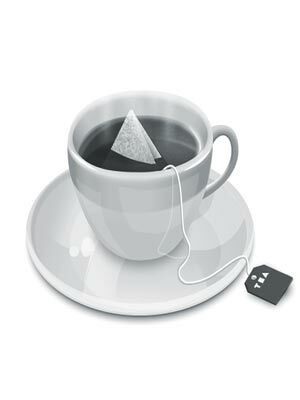 The teabags were developed in the 1920's when the bags were replaced first by gauze and then paper containers. Fact 23: Who invented Tea? The favorite British brands include those made by Lipton, Twinings, Brooke Bond PG Tips, Yorkshire, Tetley and Typhoo. Favorite brands in the United States include Tazo, Celestial Seasonings, Teavana, Red Diamond, Mighty Leaf, Luzianne and Argo.